It’s time again for Hong Lim Park to turn a whiter shade of red. 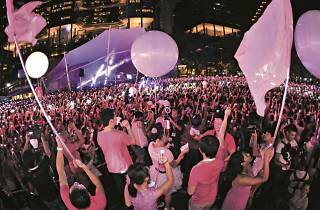 Pink Dot returns to the green space to celebrate the ‘freedom to love’, with this year’s event set to the theme of ‘#WhereLoveLivesSG’. Head down for a day of music, dance, food and discussions about LGBT topics – it’ll beat a corny magic show, we promise. Actress Patricia Mok, YouTube comic duo Munah and Hirzi, and Project Superstar 2 winner Daren Tan are this year’s ambassadors, while Gentle Bones and Inch Chua provide the musical entertainment, and Dirt Boyz and Plus Point the smooth dance moves. 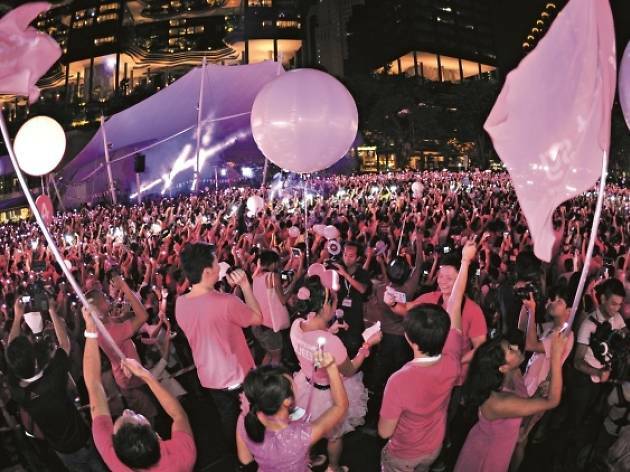 The event also includes F&B outlets that stretch out all the way to North Canal Road – oh, and stick around for the taking of the iconic ‘pink dot’ photo, at around 7.45pm. But let’s not forget the ostensible crux of Pink Dot: to open a dialogue about LGBT Singapore Comedy Fringe is at DBS Arts Centre from Jun 9-13. photo jKen Lim issues. Led by the LGBT community and its straight allies, the discussions are meant to lay the foundations for a more inclusive and diverse nation. But because this is Singapore after all, regulations prohibit foreigners from participating in the LGBT discussions – all they can do is observe the event from designated areas.